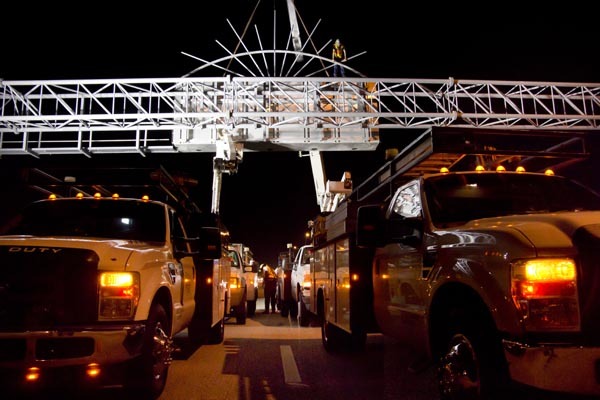 The Road Ranger Service Patrol in Florida keeps traffic moving on the highways and is a great benefit to motorists. 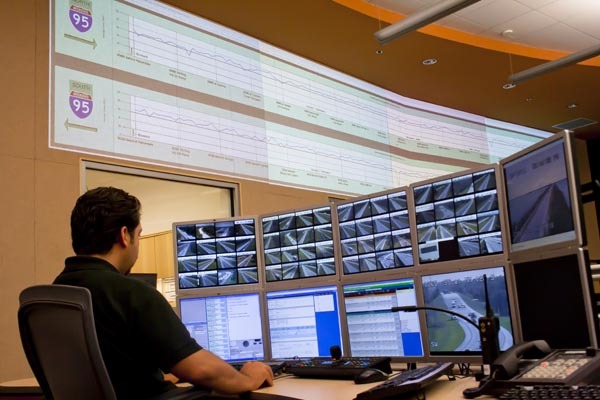 Edwin Melendez, FDOT District Four Regional Transportation Management Center operator, monitors incidents on the mini video wall at a workstation in the control room. 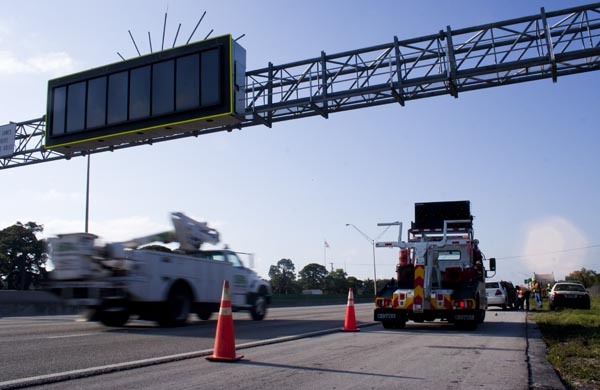 Dynamic Message signs being replaced along I-95 during the first replacement project in Broward County. 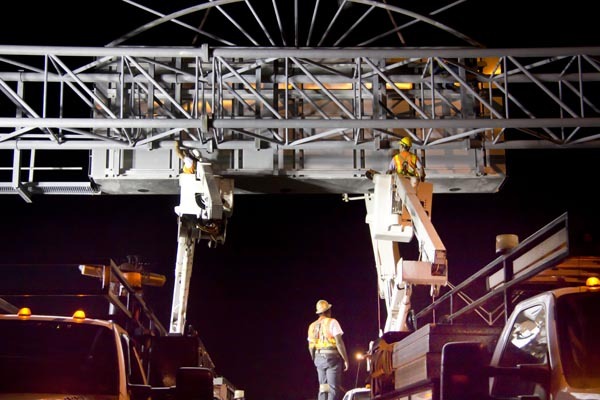 The signs display critical messages to motorists regarding lane blockages, travel times, and construction information. 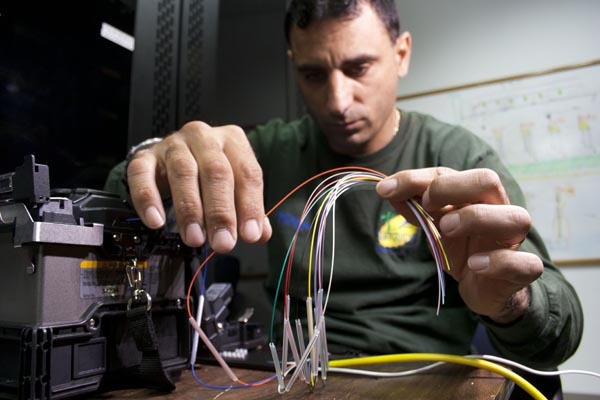 Sam Sakran, FDOT District Four maintenance contractor, carefully gathers the ends of fiber optic to be spliced together.